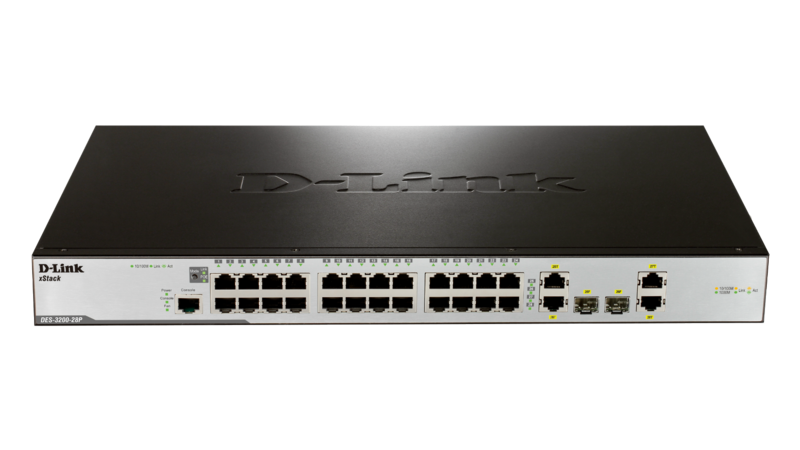 The DES-3200 Series is a member of D-Link’s Layer 2 managed switch family designed for the ETTX, FTTX, and enterprise markets. 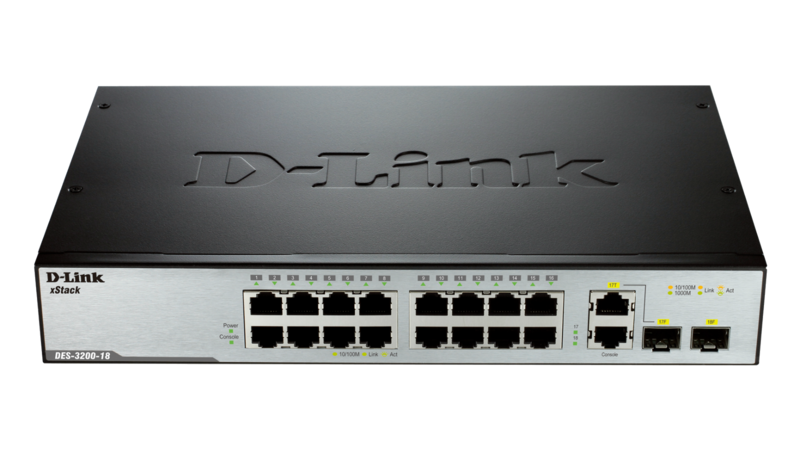 The DES-3200 Series provides 8/16/24, or 48 10/100 Mbps Fast Ethernet connections and various SFP or combo Gigabit/SFP ports uplink, as well as PoE options. 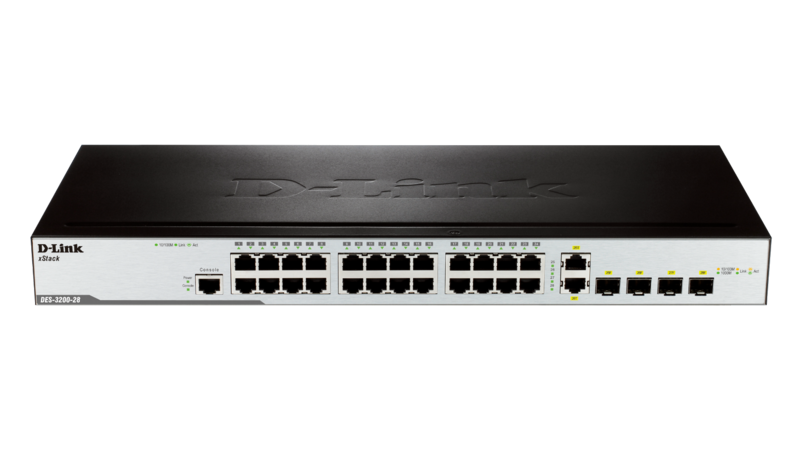 The DES-3200 Series is a member of D-Link’s Layer 2 managed switch family designed for the ETTX, FTTX, and enterprise markets. 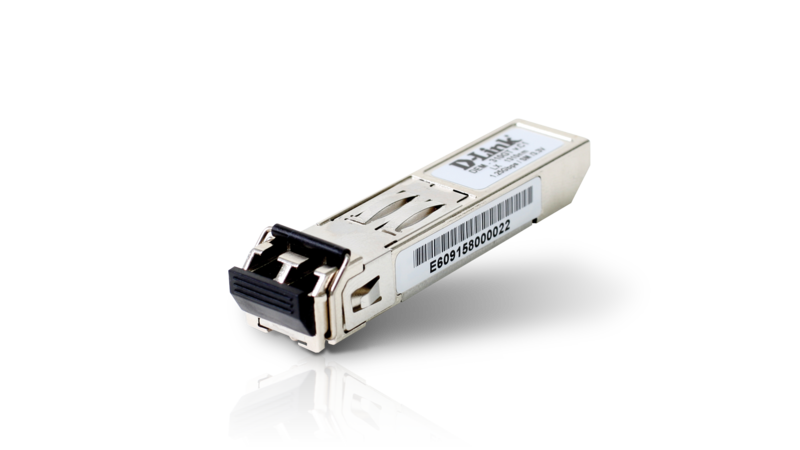 The DES-3200 Series provides 8/16/24, or 48 10/100 Mbps Fast Ethernet connections and various SFP or combo Gigabit/SFP ports uplink options. 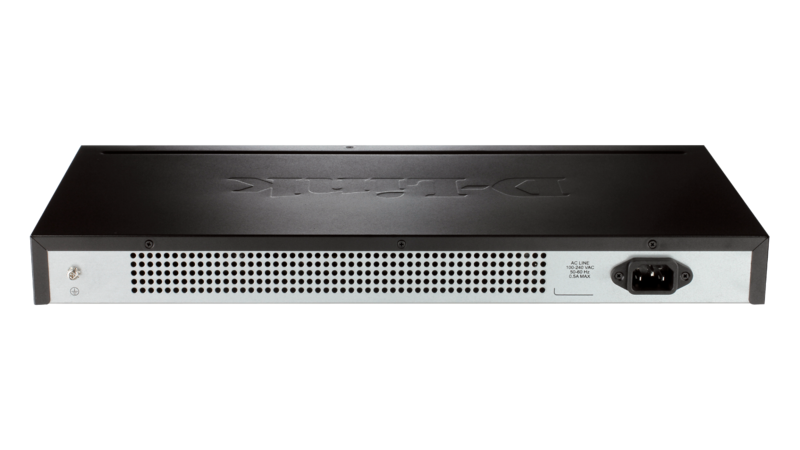 The DES-3200-10/18 comes in a 9/11-inch compact size and incorporates a fanless design suitable for desktop, telecom cabinet, or distribution box deployment. 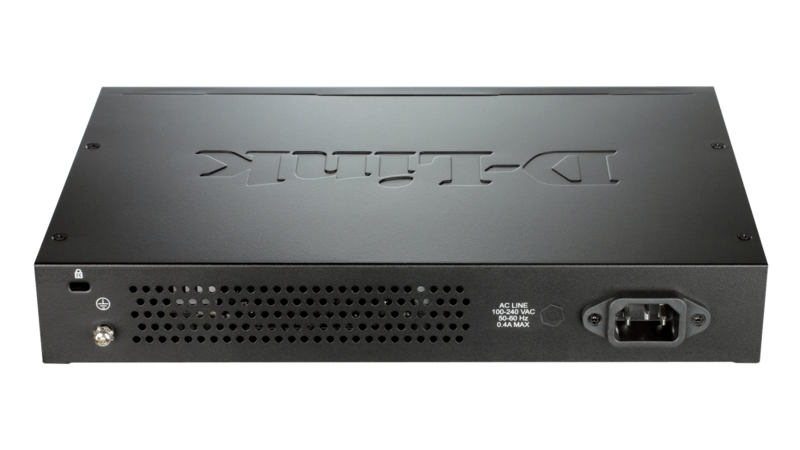 The DES-3200-28 and 52 models are 1U 19” rack mount size and provide 24/48 copper connections on Fast Ethernet with the beneficial design of 2/4 Gigabit/SFP Combo ports which provide up to 4 Gbps uplink bandwidth or dual Ethernet ring topology support. 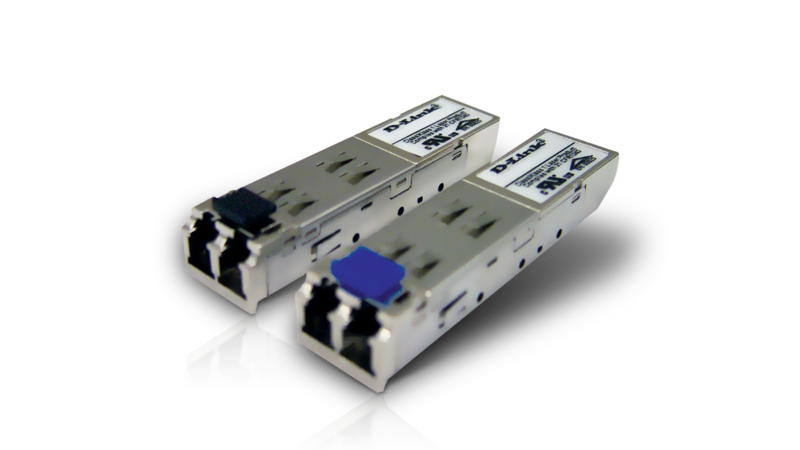 The DES-3200-28P/52P are IEEE 802.3af and IEEE 802.3at Power over Ethernet (PoE) compliant switches and provide 15.4 W per port and up to 30 W in the first four/eight ports. The PoE/PoE+ powers devices such as video IP phones, wireless access points, and IP cameras directly through Ethernet cables which makes the deployment of the network much easier. 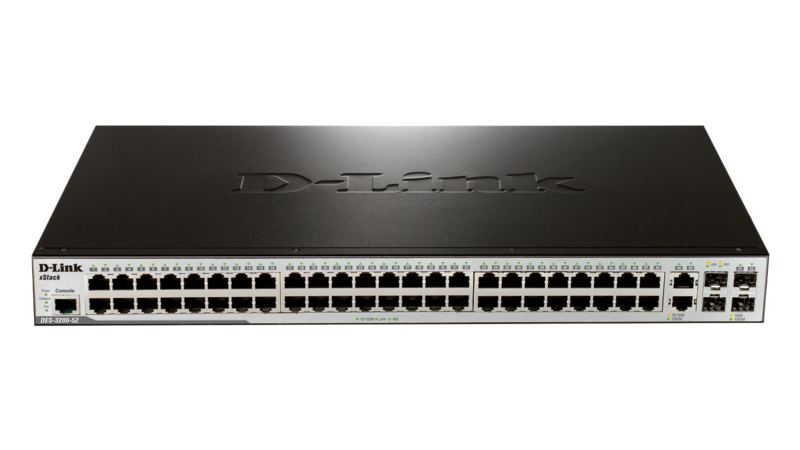 All switches of the DES-3200 series feature embedded 2 or 4 Gigabit SFP uplinks, which provides flexible network topology choices such as ring, tree, or mixed. For mission critical environments the DES-3200 Series supports 802.1D-2004 edition, 802.1w and 802.1s Multiple Spanning Tree (MSTP). STP allows you to configure the switch with a redundant backup bridge path, so transmission and reception of packets can be guaranteed in the event of any failed switch on the network. 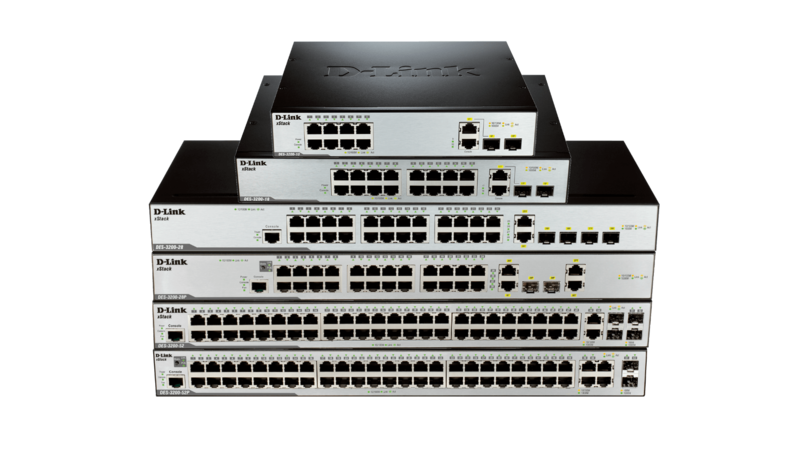 The switches also support 802.1AX and 802.3ad Link Aggregation, enabling you to group multiple ports in parallel to form a single port, increasing bandwidth and redundancy for higher availability. 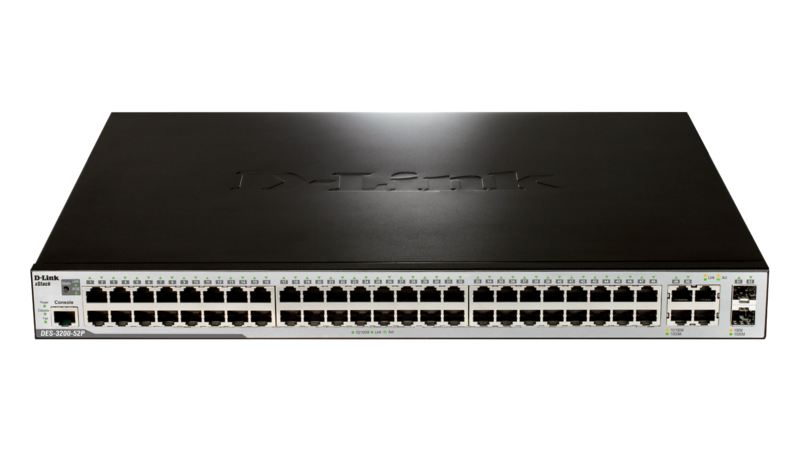 For Quality of Service (QoS) , the switch supports 802.1p and advanced packet classification based on TOS, DSCP, MAC address, IP addresses, VLAN ID, TCP/UDP port number, protocol type, and user-defined packet content. 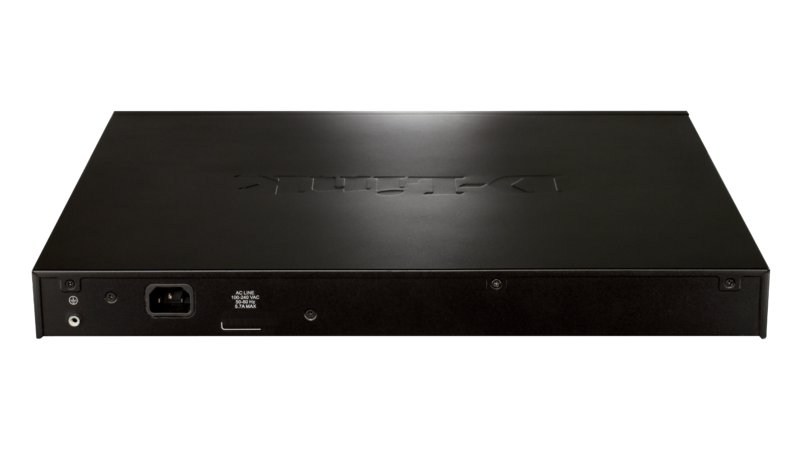 This enables flexible configuration for specific multi-media applications such as VoIP or IPTV. 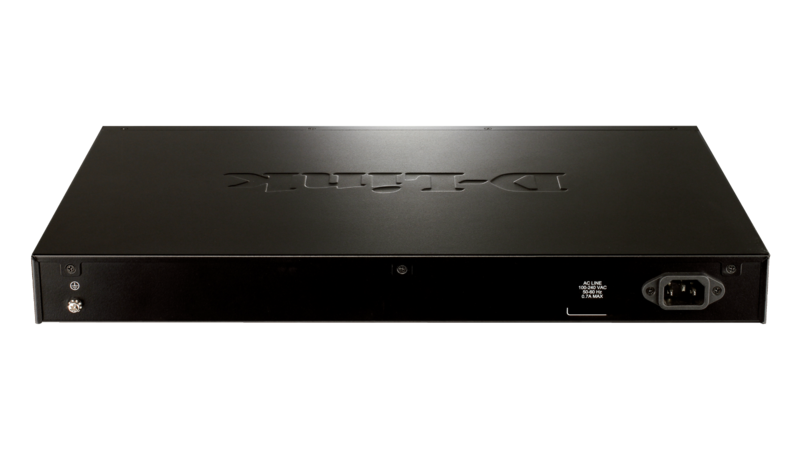 Furthermore, the DES-3200 series supports automatic, effective QoS function for voice traffic. The Voice VLAN1 includes the voice end points automatically in to a dedicated VLAN with higher priority to guarantee the quality and security of the voice traffic. The bandwidth control feature allows network administrators to define the ingress/egress throughput levels for each port with granularity down to 8 Kbps. The switch also supports the storm control feature which minimizes damages within the network. Port mirroring helps administrators facilitate traffic diagnostics or track switch performance and make changes if necessary. 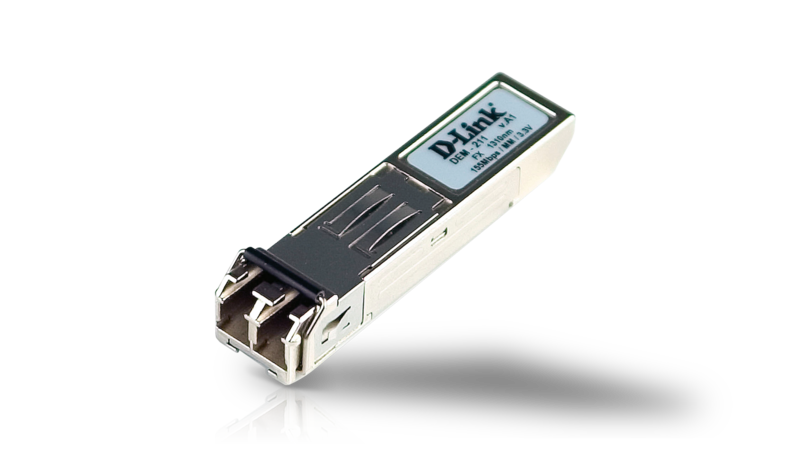 The DES-3200 Series supports a two rate and single-rate Three Color Marker (trTCM/srTCM) to classify traffic streams into conforming and nonconforming groups to guarantee the minimum bandwidth for important traffic. The DES-3200 series provides cable diagnostics to check the status of network cables and pinpoint the cause of any network cable malfunction without requiring on-site operator support. The 802.1ag Connectivity Fault Management (CFM) feature provides tools to monitor and troubleshoot end-to-end Ethernet networks, allowing service providers to check connectivity, isolate network issues, and identify customers affected by network issues. 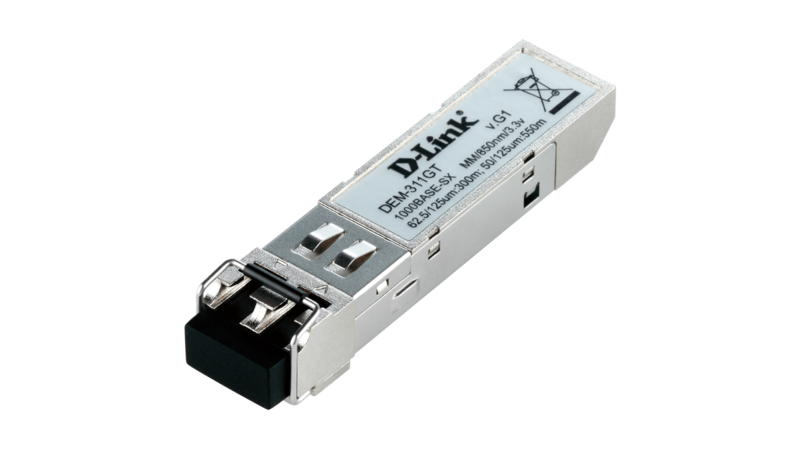 The 802.3ah Ethernet OAM, Dying Gasp, and D-Link Unidirectional Link Detection (DULD) functions can improve network management on the Ethernet and help maintain a stable network connection and support fault locating. 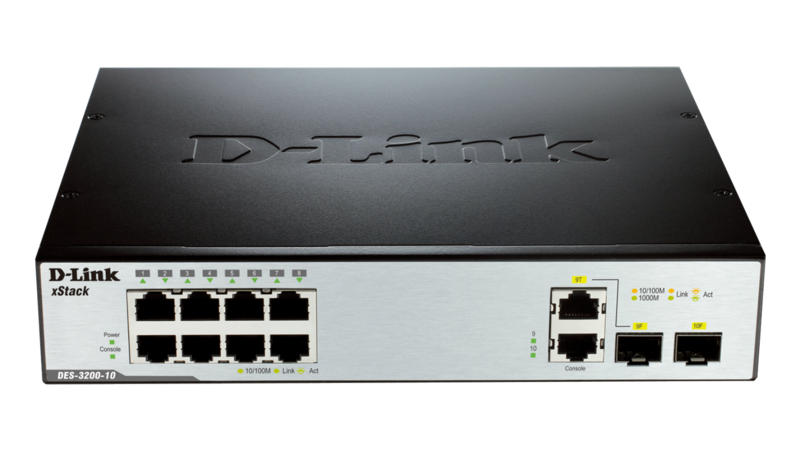 D-Link Single IP Management (SIM) simplifies and speeds up management tasks, allowing multiple switches to be configured, monitored and maintained from any workstation running a web browser through one unique IP address. The DES-3200 Series also works with D-Link’s D-View 7 software. 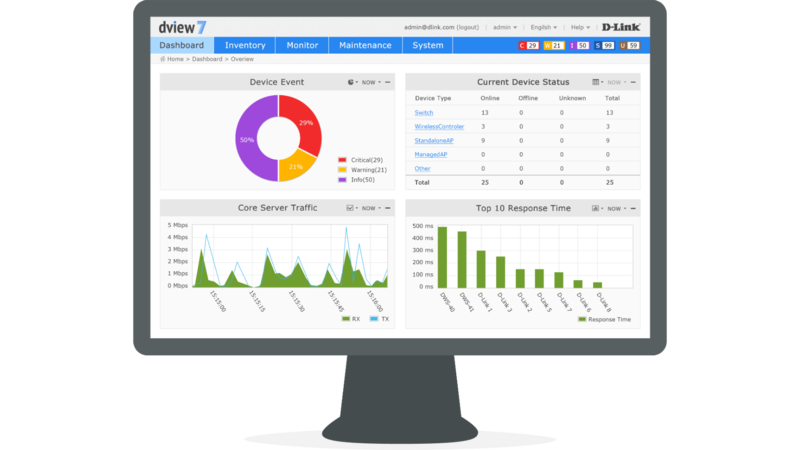 D-View 7 is a Network Management System that allows for the central management of critical network characteristics such as availability, reliability, resilience, and security. D-View 7 provides a useful set of tools for network administrators who want to effectively manage device configurations, fault tolerance, performance, and security. The DES-3200 Series has been certified with IPv6 Ready Logo Phase 2 which guarantees the connectivity and manageability in an IPv6 network. Furthermore, it supports IPv4/v6 dual stack function that allows the switch to act as a bridge between IPv4 and IPv6 networks. 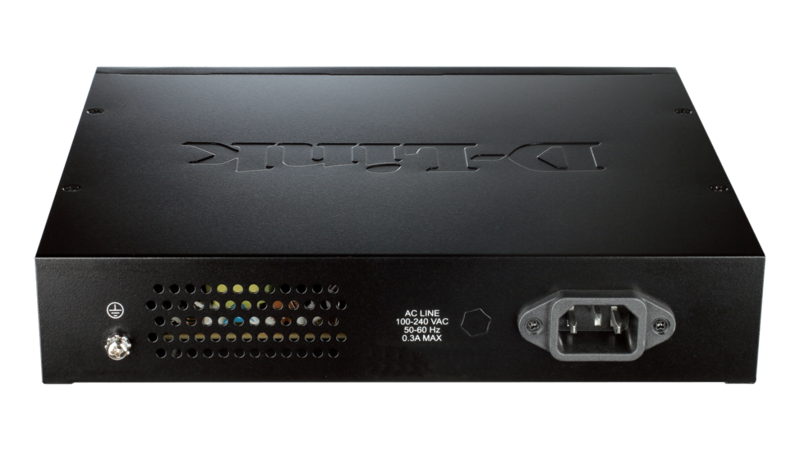 As networks grow and the need for larger addressing and higher security becomes critical, the DES-3200 Series supports various IPv6 ACL, IMPBv61, and L3 Control Packet Filtering functions to protect the network against attacks and meet the requirements for the design of the IPv6 architecture.